Should I learn how to read music or learn to play by ear? Playing by Ear, is an approach that is most popular with those who want to play the piano but either cannot read music, or by choice, don’t want to read music. Playing by ear requires developing good memorization skills, pitch training, and knowledge of chord theory and chord voicings. Learning to Play by Chords is for those who want the freedom to create music on their own by improvising with chords, chord progressions and chord voicings. Playing by chords is appealing to those who are explorers and are natural risk takers. Learning how to read music is by far the most popular option and encompasses about 90% of the piano playing community. This is the most popular method of learning because you can play any song by reading the music even if you have never heard it, resulting in learning how to play many types of music. I admire pianists who fall into each of these categories. 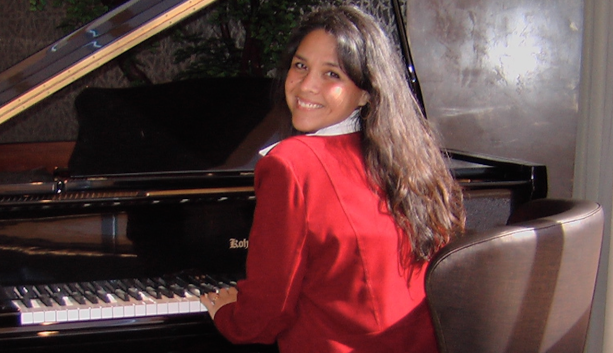 Each type of pianist has a specific goal and even specific personalities. For example, someone who can play by chords and can improvise on the spot tend to love playing for others. They are the life of the party kind of person. Chord players are also found playing in a band. Those who play by ear are adventurous, are risk takers and tend to have a list of memorized songs to play on the spot whenever there is a piano present. Advanced ear students can also recreate a song that they recently heard fairly quickly. Pianists who read music tend to be those who are more conservative, like to know they are doing things right by following sheet music, and appreciate challenge. People who read music tends to own a good collection of a variety of music books from pop to classical, and hymns to jazz. People who read music tend to play for personal enrichment, become church, school or community pianists, and even piano teachers. People who read music are also part of the concert pianists and classical musicians. So, before choosing a piano lesson program, evaluate your goals as a pianist and choose a method that would fill those goals and fit your personality. Choosing the approach that fits you best will end in success.